"Let Me Introduce Her" takes over the SBS Saturdays 20:45 time slot previously occupied by "Secret Mother" and followed by "Ms. Ma, Nemesis" on October 6, 2018. First script reading took place May 22, 2018 at SBS Prism Tower in Sangam-dong, Seoul, South Korea. Ep. 29-32 was originally scheduled to air Saturday, September 1, 2018, but instead will air Saturday, September 8, 2018. This is due to airing of the 18th Asian Games. mshsh Feb 12 2019 7:49 pm JP, SAAME! Plus why get the 2nd actress when she's 14 years older than Lee Shi A and has such a different body type?? Jazz Feb 05 2019 9:18 am Lately, I have second lead syndrome for evil characters. 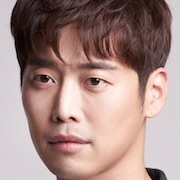 First, The Last Empress's Shin Sung Rok and now, this handsome dude Jo Hyun Jae. Twilight Jan 13 2019 9:59 am Worth watching! You can't stop once you started it! Haha, but... At the end, i just want eun han be with her husband, sorry! ? JP Dec 30 2018 12:10 pm The drama is good, but I keep wondering why they didn't cast two actresses with the same body type. Their body types are very different. It doesn't seem like it would have been that difficult. hello Dec 29 2018 1:14 pm This drama was mind-blowing and had so many plot twists. Definitely recommend watching this drama! The ending was very satisfying. Warning though, you'll get hooked the moment you start on this drama, finished it in 1.5 days! FaceDoc Dec 16 2018 1:08 am The mansion looks very familiar. Anyone who watched Yong-Pal (Gang Doctor) will recognizance the interior and the front entrance. A few of the actors were also in both series as well. Sha Oct 31 2018 3:31 pm I love korean dramas but the amnesia plot is getting redundant. Too many dramas are using this plot and its so frustrating. Eun Han has lost her memory but then instinct has her doing things for her husband. But then can't even feel anything towards her mum when she first meets her. Argh. And how is a plastic surgeon with a private practice living in a studio and behind on rent. That's unrealistic. kdramas Oct 26 2018 6:25 am Omg this drama was so good. Loved the ending . Love AFAINA. Edmark Rafol Oct 19 2018 11:56 pm I thought it was boring to watch BUT I was wrong because I LOVE IT MORE every episode. There's a twist in every episode and you will think what happened in that missing piece. Because of so many twist that caught my attention, I finished watching this drama in almost 1 and a half days only. amber366 Oct 13 2018 8:25 pm This was a wonderful drama, finished it in one sitting. The cast did an amazing job and the storyline was very different from other Chaebol dramas. Tricya Esterina Oct 02 2018 10:44 am Yayy.. Jo Hyun Jae and Nam Sang Mi got nominated as excellence actor & actress at APAN award this year for their acting in this drama. Well, honestly, Jo Hyun Jae is more deserve to be called as true male lead rather than Kim Jae Won. JAC Oct 02 2018 8:37 am This was the best drama in 2018. It showed women marrying into rich family without thinking about the consequences. VL Sep 30 2018 12:46 am Finally the drama comes to an end. Absolutely love its ending!!! Have been a while since there has been a satisfying end. goldfish Sep 24 2018 10:16 pm one thing that i didnt really catch up. Did jee eun han really tried to kill herself with the knife last time or someone did it in the basement? coz i really confused if she cut herself then why is she screaming for help and fall down in front of her psycho husband? Kim Abi Sep 23 2018 6:56 pm Reading the plot, made me laugh. I hope the drama is good. I like the cast! JAC Sep 22 2018 6:24 pm Omg it’s over finally. Husband and Butler ought to lie in their bed together. It girl Sep 22 2018 4:10 pm Why are they delaying this show ?it’s supposed to air every Saturday does anything know the reason why? 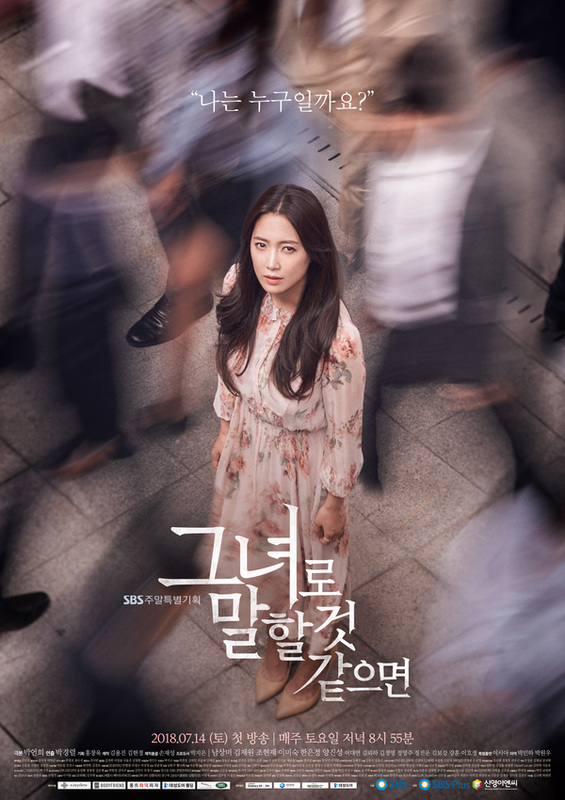 13514 Sep 21 2018 2:45 pm I am interested in watching this drama mainly because I am not familiar with the cast and because the plot seems so interesting to me. I hope I don't get too ahead of myself. But yeah if anyone can tell me if it's worth watching please let me know! I would appreciate it. Vichory Sep 18 2018 7:30 am Why the next (final) episodes will only be aired on 29 Sept?? Delay again.... Can't wait to watch the finale. JAC Sep 16 2018 11:09 am Ok I like the two leads in the drama. The fact the mother knew her 50 year old psychopath needs to marry the tall psychopath butler is a no brainer. Ruby Sep 16 2018 2:44 am I don't have high expectation about this drama because I don't really like drama about chaebol family that have so much grudge with people in the household. I watch this drama because Nam Sang Mi and Yang Jin Sung. But now I like this drama because every ep makes me curious what will happen next. Some chaebol drama don't have good plot that will make me confused and bored . But this drama pretty good and all actors are good too. lin Sep 15 2018 3:45 am this drama has been so good so far. Every episode is mysterious and it doesnt drag. The ratings shoudd be higher than what it is. JAC Sep 08 2018 8:37 pm I don’t get it! Is the butler a witch? How could she influence the mother and psycho son...it does not make sense. Why don’t he beat the tall witch and mother? BabyG Sep 07 2018 5:26 am The mother knew about her son, that’s why she didn’t want her son to be promoted. She said the higher he climbed the harder the falls. But I’m sure she didn’t know about SooJin. I think SooJin was the one who planted wrong picture about the wife thus triggered the bad reaction from the husband n mil, because she wants to be the wife. Kukmi Sep 05 2018 6:50 am I never know that this drama could be really good! Every episodes always make me curious what will be in the next episode. The story line was so interesting! I really like it! hotelier777 Sep 04 2018 10:14 am Every episode is really good. I'm curious about the next episode. PsyDuck212 Aug 27 2018 4:55 am @JAC I think you are now confused. Da Ra is the daughter of Kang Chan Ki and Ji Eun Han. The boy you are talking about is really the son of Doctor Han Kang Woo. The focus of the story as of Episode 28 is the cellphone. 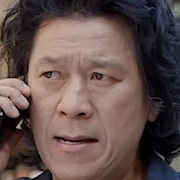 I'm guessing the contents of the phone is something about the affair of Jung And Chan Ki. JAC Aug 26 2018 8:43 pm Now confused about who’s the boy father? How careless this woman leaves her son with her mother and now with the Dr? What kind of story is this? Husband abuse and beats his wife and career woman dropped her son at stranger house. What is next? JAC Aug 25 2018 5:13 pm Confused about the little girl? Tall witch and tv guy are they the parents? JAC Aug 20 2018 7:54 pm Just viewed eps 10 and I agree with you she, the lead actress could bring some commonsense to the character. Mother in law does not like you and husband sleeping with the secretary. Alice Aug 19 2018 9:28 pm This is literally one of the worst shows I've ever seen. All the evil characters do whatever they want in plain sight and the main character is too stupid to know. It's frustrating as a viewer. Amnesia should not cause you to lose your common sense. July Aug 12 2018 8:08 am She stole the anchor's cellphone and was fleeing from thugs who were paid to kill her so I presume the anchor not only is her husband but also has some hidden sin and is the real villain. Thel Aug 10 2018 11:09 pm Why do I hope she'll get back together with her husband?wahhh!!! 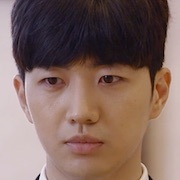 I hope his Chan Ki's sin is forgivable....The butler is really getting into my nerves. If I am the wife, I'll surely give her what she deserves. Jae won lover? Aug 06 2018 3:35 am I am watching these drama because of KIM JAE WON he is a brilliant actor with a most pretty smile in the world Its a eye candy to see him on screen ? tran Jul 29 2018 9:54 pm I agree with some viewers, i dont understand why her personally change into a complete different after the plastic surgery? Doesn't seem to fit. And it seems she's not as cool or clever like before, and yes i found Nam Sang Mi replacement as a bit let down, Lee Shi A was a surprise to watch, i watched her previous daily and she wasn't good, but she was spot on in this role, she caught my interest. Pierrot Jul 17 2018 1:42 am at first, Lee Shi A (Ji Eun Han before surgery) meet Dr. Han Kangwoo with all her problem and full of darkness. then, Nam Sangmi appear after surgery with no memory and come as new people who has a bright personality. at story they are just one person, but as I see Nam Sangmi just replace Lee Shi A potition. I think the story will better if Ji Eun Han no loses her memory after surgery. for example birth of beauty drama, female lead totally different after surgery, but it's okay, she know about her past. 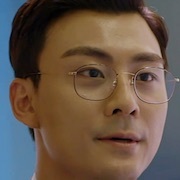 until ep 2, for me Lee Shi A character more strong than Nam Sangmi. first impression is important. and I see as viewer, they like two different person. Nam Sangmi not regain her memory, she's searching for Lee Shi A's life, not Ji Eun Han's memory. Eli Jul 16 2018 8:17 am I love the actors in this film, but the story is too bad. It does not make sense. manda Jul 15 2018 9:34 pm there are procedures that must be taken before ANYONE can perform a medical surgery. How in the heck does the guy just operate on an unknown person (no name, no emergency contact, no ID), that's ridiculous and too far-fetched. tran Jul 15 2018 5:40 am Watched 1 and 2 and like it so far, appreciated the production for given those supporting actors chance to be seen again. 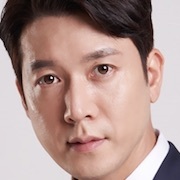 Jo Hyun Jae looks so fine after the marriage, he looks so kind, must he play the baddie? Ari Jul 14 2018 3:53 pm WOW this is drama is terrible already. What was the budget? It's so cringy and full of tropes and horribly shot I actually want to stab my eyes. Aylee Jul 05 2018 11:48 am This is a copycat of birth of a beauty. What to u think? fenny Jun 29 2018 11:27 am How does it feel when Nam Sang Min meet Lee Sang Yoon in the same drama? I wonder?? Conny Jun 29 2018 10:51 am Wow yeah finally NAM SANG MI & KIM JAE WON TOGETHER love them all , the cast, the plot the teaset and many more!! This drama going to viral I hope love then all!! Thank u PD nim you make my dream come true with the cast and the plot is so fresh ❤❤❤❤ CAN'T WAIT! Nurul Azmi Jun 26 2018 1:41 am the trailer is going out now, please keep update for the teaser this drama pleasee admin, i can't waittttttttttt !!! Nurul Azmi Jun 26 2018 1:41 am the trailer is going out now, please keep update for the teaser this drama pleasee admin, i can't waittttttttttt OMG nam sang ming & kim jae won love they're both so much!!! ForeverFan of Jo Hyun-Jae Jun 20 2018 1:00 am Please have it available in Netflix or iFlix. ?